Prep your hair at PREP! 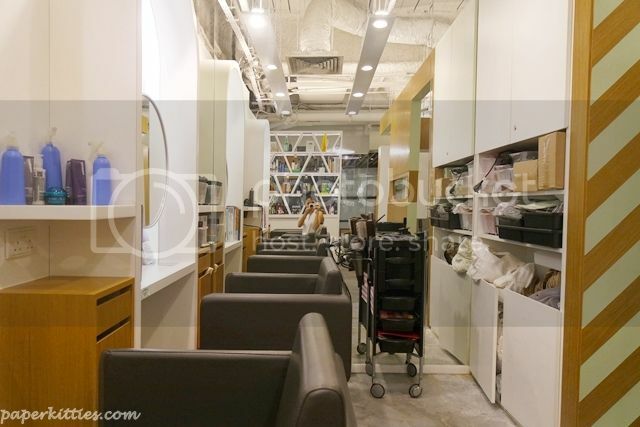 Conveniently located at the third floor of Mandarin Gallery, PREP is Singapore’s first Blowout-only hair salon with a pampering touch! What’s a blowout salon one may wonder? 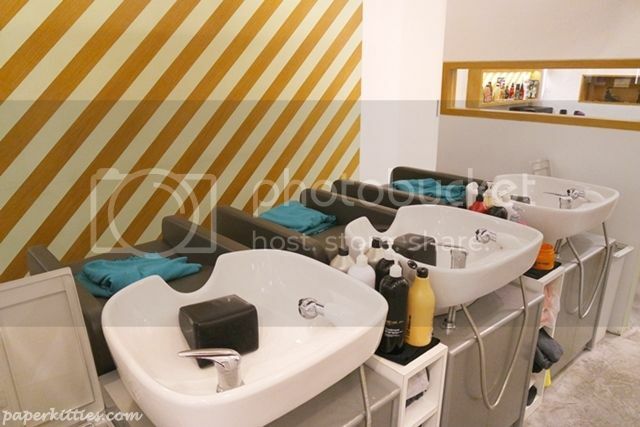 Well, it starts with a hair wash and scalp massage, followed by an expert blow-dry method in an environment where you can relax, chat, and come out feeling like a new person – all for a nifty affordable price. 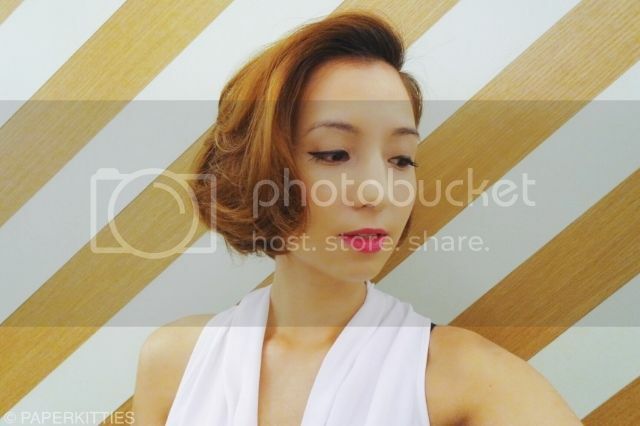 By leaving cuts and color to the salons, be prepared to get treated to unleash your inner divas by your stylists without spending the big bucks; perfect from bad hair days to major events, you’re bound to look like a star! As I browsed through the blowout and treatment menu, I could only kick myself for not planning ahead with better time management. 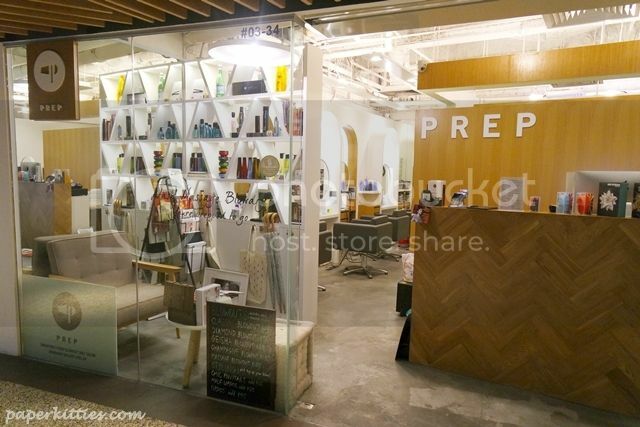 Apparently, Prep not only have the usual classic blowout, they even have treatments that include full head & shoulder massage with choice of aromatherapy oils, Shiatsu head massage etc. Just thinking about it makes me tingle..
Whilst getting myself comfortable with some sweet treats, I was introduced to a variety of blowouts and treatments available by my stylist, Sherman. Truth is I was up for anything as long as he could abide to my 1 hour time frame, to which he recommended the Geisha Blowout: priced at $60, it is a deep cleanse & moisturise hair treat with Shu Uemura shampoo, mask & camellia oil. 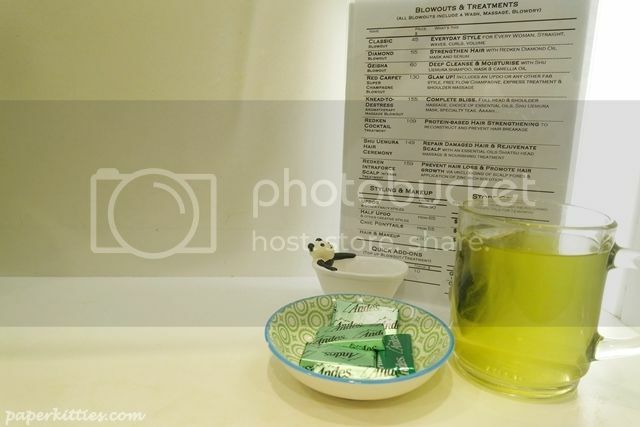 It is one of the salon’s most popular hair treatments, sounds good eh? This is where majority of the treatment happens.. all for you to just lay back and relax. For my case, Sherman gave my hair a double wash with Shu uemura shampoo to deep cleanse my scalp (they mainly use only two haircare brands: Shu Uemura and Redken) before indulging my hair with a 10 minutes leave in mask. Back to the styling station, what’s next? 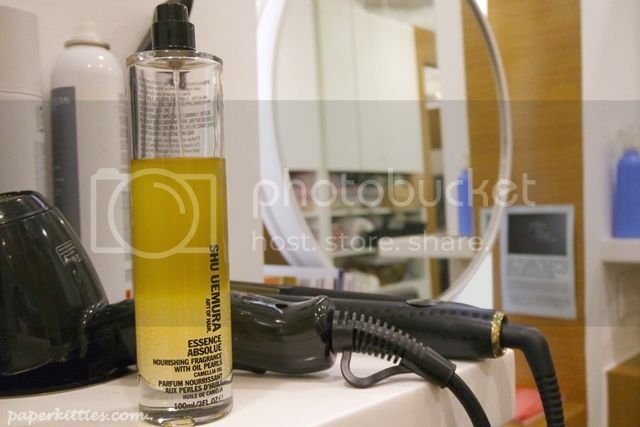 Essence Absolue by Shu Uemura to moisturize and protect my hair with intense nutrition before Sherman proceed to giving my hair the all over blowout. For the blow out that followed, I asked for natural tousled curls to complement my outfit of the day. All I had to do was just sit back and let Sherman does his magic whilst I enjoy the wonderful selection of current magazines Prep has to offer. Every now and then, Sherman will check in on me before proceed onwards to ensure that I am comfortable with what he was doing – that I truly appreciate. Voilà! I couldn’t stop gawking at my hair that totally matches my outfit, giving the entire look a 1920s/Marilyn Monroe vibe that I could never have expected, it was perfect. If only I could have perfect hair permanently… All in all, the blow out took an hour, just as promised. I was really pleased with the experience, I’d gotten the two thumbs up from my girlfriends and loads of compliments from my mates. Hees! You can now book via GetKlarity here! GetKlarity is a beauty and wellness app on both web & mobile that allows you to luxuriate in some much-needed ‘me-time’ anytime, anywhere. Discover available appointments at top spas and salons by location, enjoy exclusive promotions, and book seamlessly via GetKlarity app in real-time. They have beauty salon in Missisuaga when it comes to threading for your excessive hairs. It may be on face, neck, hands and body makes you look weird and your body full of hair.